We do our best to make sure you do not have to return items unnecessarily. We do however accept that this may be the only option in some cases. Items may be returned within 30 days of purchase provided they are unopened, undamaged and in original condition. Such returns will receive credit in full, excluding any shipping charges. Shipping charges will be refunded in full if we sent you the wrong items. We cannot accept opened boxes and vials, as we are unable to return these to the manufacturer, so please check your order before opening the boxes. In the unlikely event you receive a defective lens, please do not throw the lens away. It may need to be returned to the manufacturer for analysis. Provided the lens manufacturer agrees the lens is defective, a replacement lens will be issued at no cost to you or a refund provided. Please note that defective lenses may only be exchanged for the exact same lens and prescription. 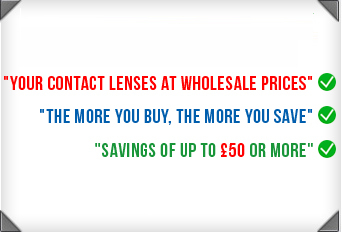 If you wish to return contact lenses purchased from www.contactlensesexpress.co.uk, please contact a member of our customer service team on 0800 037 4000 or email us at cs@cleuk.com. Once we have confirmed that the lenses/items can be returned please post them by secure/recorded delivery to the address detailed below.